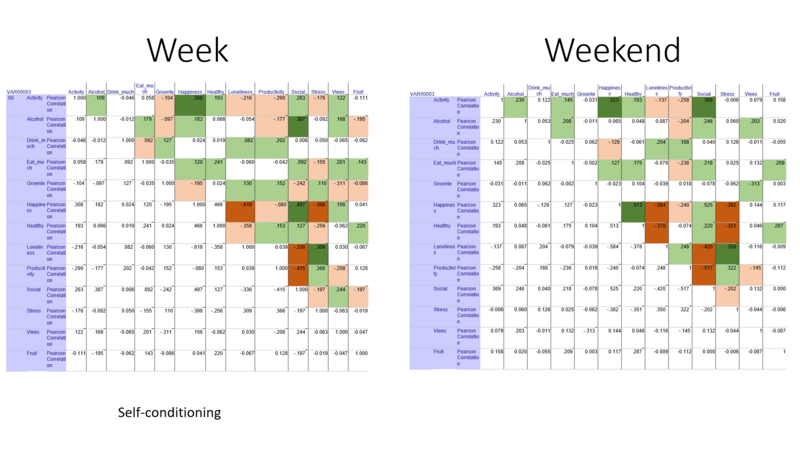 This just a very short blog to show the statistical differences between my week- and weekend days. Data is from 2014 until 2017. In the first table you can see the differences in value’s and see (with green) which of the value’s is significantly higher than the other. 14 out of 21 value’s are significantly different, which implies a lot on my activity. In the second figure you can find a correlation matrix and see the strengths of correlations with the brightness of the colors. You can also find a different structure here. 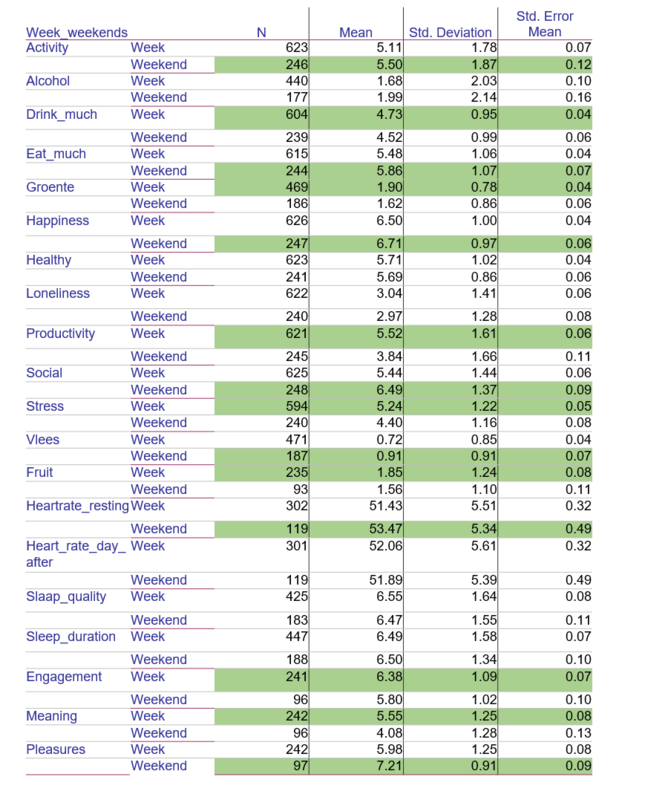 It shows my behavior is more stable during the week (more significant and stronger correlations). In the weekend you can still find stability but less than during the week.